This Way to Barnegat Bay! received a grant award from The Watershed Institute to provide eligible teachers with a workshop, lesson plan books, and starter kits of supplies. 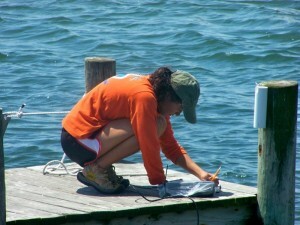 We’ve educated 39 teachers about Barnegat Bay, so far, with another 7 more to go in May. This brings our total to 46 teachers, with 23 still on the wait-list! Barnegat Bay Defenders received a grant award from the Garden Club of LBI to purchase Defenders Badges for participating students. The badge was designed by Trey Garcia, a 3rd grader from Beach Haven Elementary School. Students at the school will be working on persuasive letter writing about a Barnegat Bay issue this spring. 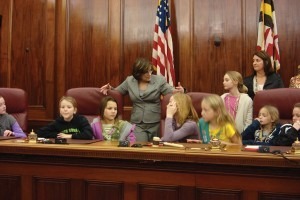 We’re also working with the LBI Grade School to start a Defenders program there as well! Student Grant Program recipients were chosen for the summer 2016 season! We welcome Casey Hennessey, Kevin Lindert, both of Rowan University, and Georgie Grieb of Stockton University to our Water Quality Team! Stay tuned for updates throughout the summer on their project and progress, as well as an opportunity to meet them and hear about their team project at the end of the summer. 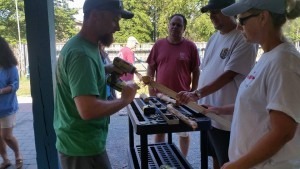 Barnegat Bay Stewards is a brand new program designed to partner with service organizations, homeowners’ associations, garden clubs, and historical societies to become Stewards of the Bay. We’ll be presenting at Lakehurst Historical Society and Southern Ocean Rotary Club next month and discussing Barnegat Bay service projects for their members! 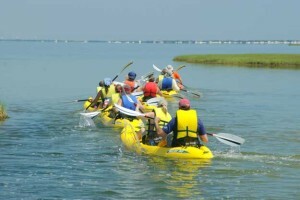 Barnegat Bay Champions is launching soon with the first of three eco-kayak tours with Lavallette Yacht Club this summer! For members of the yacht club, country club, and private beach communities, becoming a Champion of the Bay means they get to learn about Barnegat Bay in a whole new way. 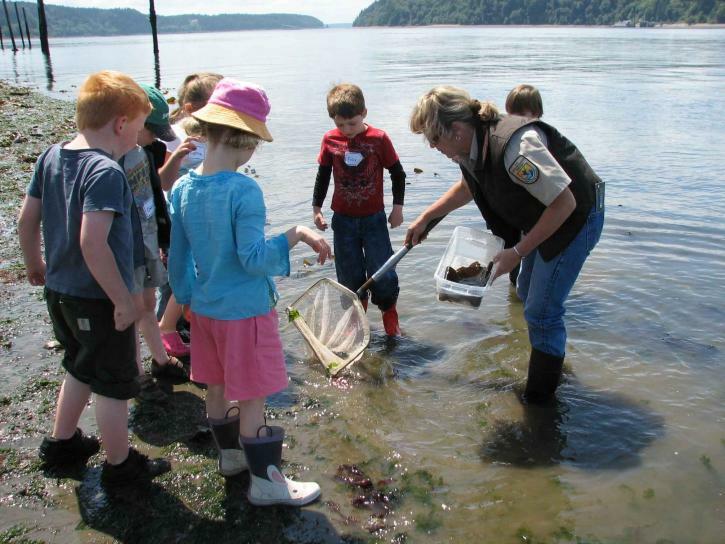 We’ll provide naturalist-led kayak tours, seining for the kids, wildlife presentations, and workshops on bay-friendly projects for their members. Stay tuned for a summer filled with Bay Champions! Keep your eyes out in the community for us from May through October! 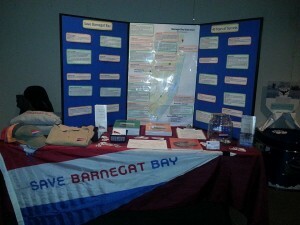 We’ll be tabling at various events and spreading the word about Barnegat Bay stewardship, conservation, and action. Be sure to check our calendar to see where we’ll be and join us for family fun throughout Ocean County. This month, we can be seen at Ocean Fun Day at Island Beach State Park and Jersey Shore Festival along the Seaside Heights boardwalk.